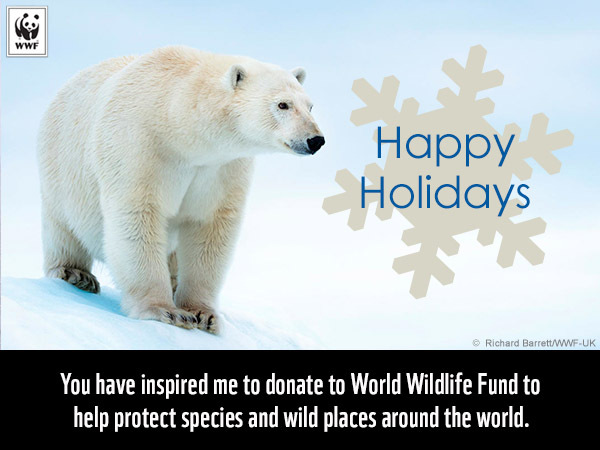 This holiday season, delight your loved ones by helping protect wildlife and nature. Make a donation of any amount to support WWF’s global conservation efforts, and send a holiday ecard to a friend or family member—or to a few friends and relatives—to announce your gift. Donate to send this ecard or another one for the holidays!